It’s quite easy to walk past Hazuki and not notice it, as it’s on the corner of a busy street. 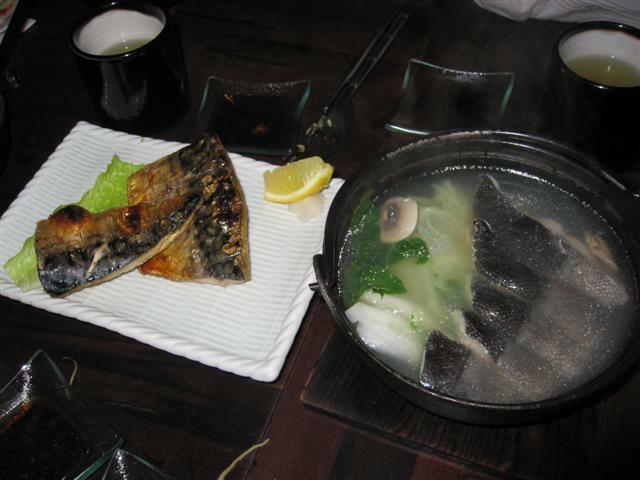 But, Hazuki is worthwhile noticing, as it has some of the best Japanese food. 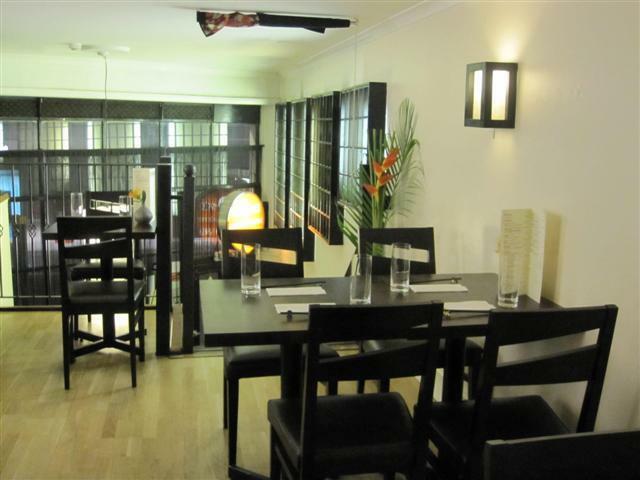 Hazuki has its dining area over two levels. The dark wood furniture contrasts with the cream decor. There are also screens decorated with Japanese artwork. The restaurant was quiet when we first arrived but it didn’t take long for it to get busy. The staff and service were fantastic. They gave service with a smile and were always ready to clear up empty dishes to make room on the table for more food! Also, our cups were constantly being refilled with the jasmine tea. All the dishes, starters and mains, were really tasty. We had no faults with any of them. The pork and chive gyoza had a good flavour and were filled generously. The crispy salmon strips were something new for myself, as in I’d had salmon before, but not the skin fried on its own before. It was nice enough but I think that I prefer it with the salmon flesh. The aubergine with chilli dish was a big portion and very spicy. The pan fried squid came with green beans. The squid and beans were not overcooked, with the green beans still quite tender. 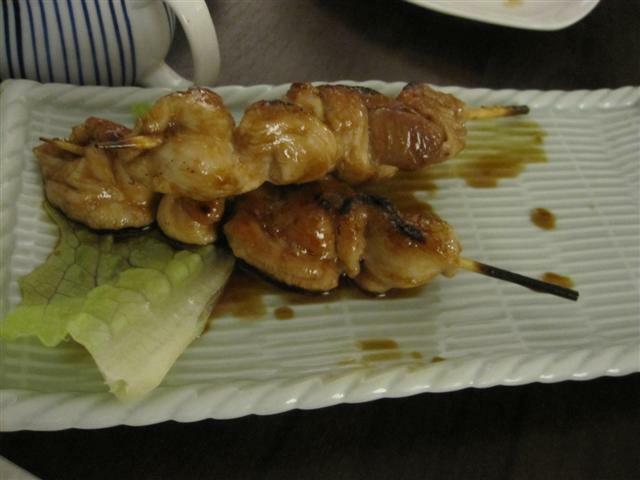 For the chicken starter, we had the yakitori, which was grilled chicken on two skewers. The chicken was soft and tender. 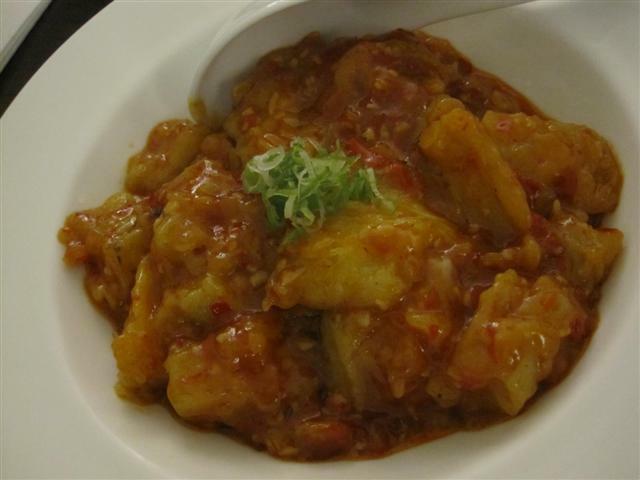 One dish that I did not try was the itawasa-fish cake with wasabi. 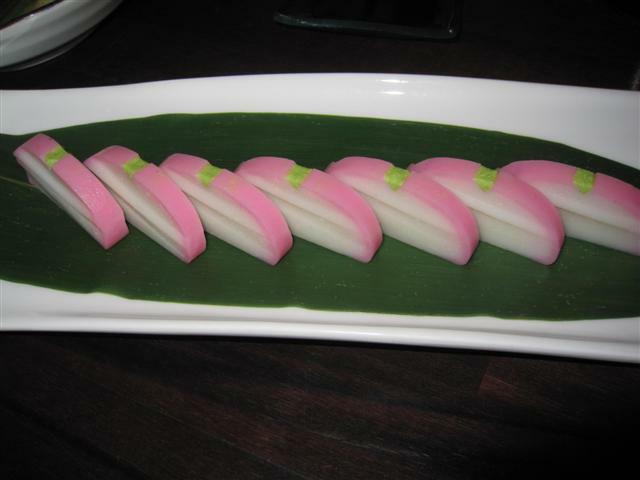 It was very pretty to look at though with its pink, green and white semi circles presented on a green leaf. Surprisingly, we had room for some main dishes as well. We went for a selection which included chicken, salmon and a hotpot. 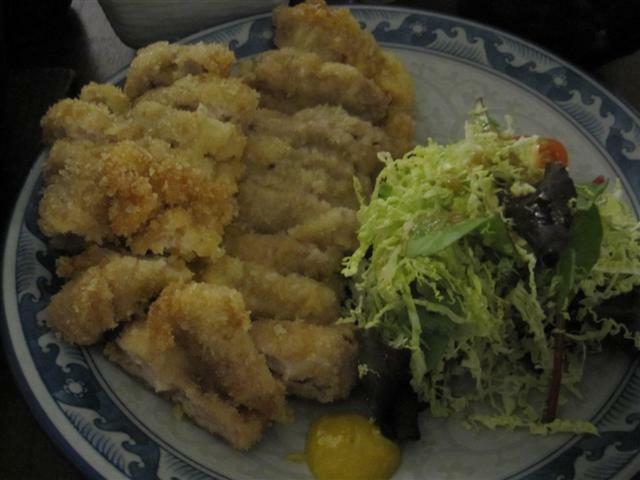 The chicken katsu was deep fried bread crumbed chicken. It wasn’t greasy and was very moreish. It came already sliced into strips so it was easy to eat. 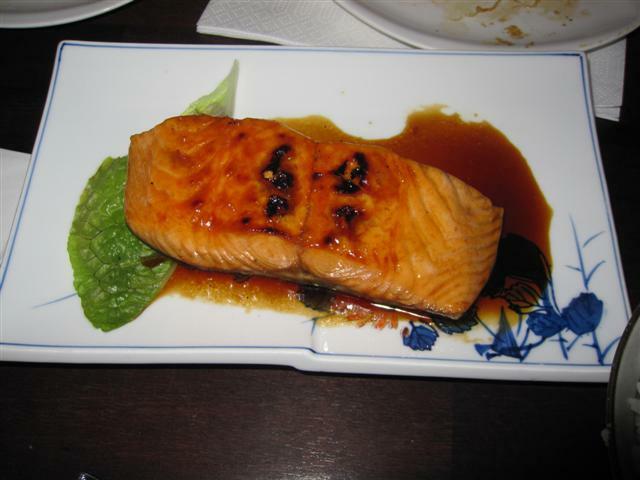 The salmon was the sake terayaki grilled salmon. The fish was succulent. The terayaki had the expected good sweet/sour taste. The tarachiri nobe cod hotpot came in an iron pot. 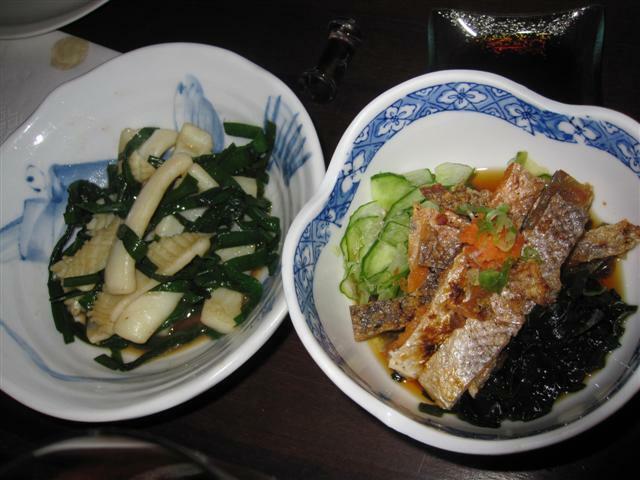 As well as the big piece of cod, this dish also had tofu and vegetables all in a broth. The hotpot could have been a complete meal for one person, together with the rice! It had a light delicate flavour. 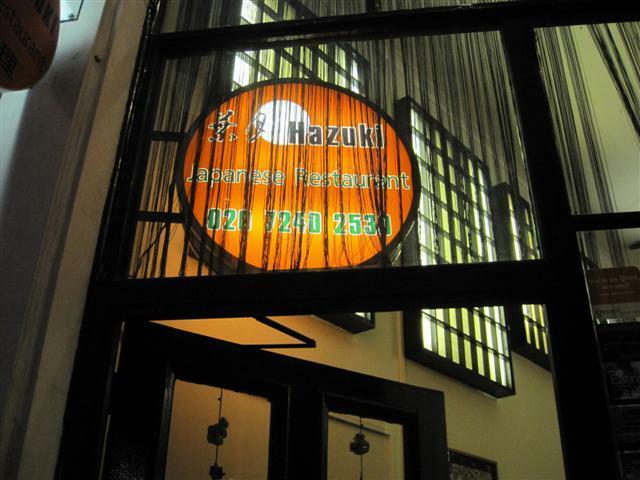 Everything about Hazuki was great and it’s a fantastic place to go for quality Japanese cuisine. Previous Post The Big Fish Fight! You are most welcome! Hope you get to try Hazuki! From the photo, I thought at first that the fishcake was mochi! The food looks lovingly presented, thank you for the tip! Glad that you like Hazuki! Just a note about your comment about the review being written by Hazuki’s owner. This is definitely not the case. All the reviews on this site are written by the Rate my Bistro team and are based purely on our personal dining experiences. All the visits to the eateries are anonymous and hence no reviews have any outside influence. The whole principle for Rate my Bistro is honest first hand reviews. If the places that we review do want to comment on our reviews, then they can do so in our Guestbook. I hope that this clarifies things for you! Clearly written by Hazuki’s owner. But I do like this place.